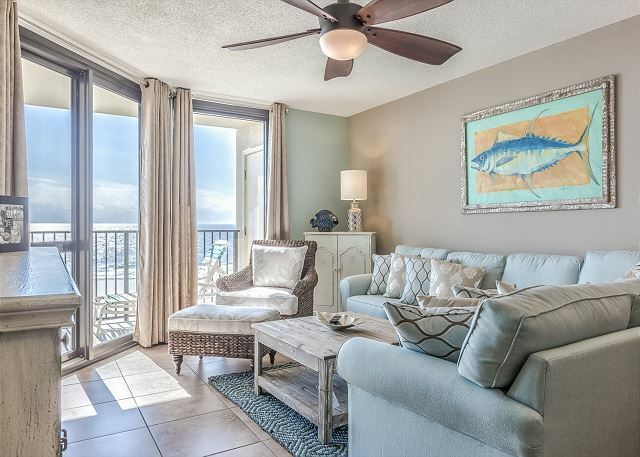 This condo is located on the Gulf of Mexico just West of the Perdido Pass Bridge. 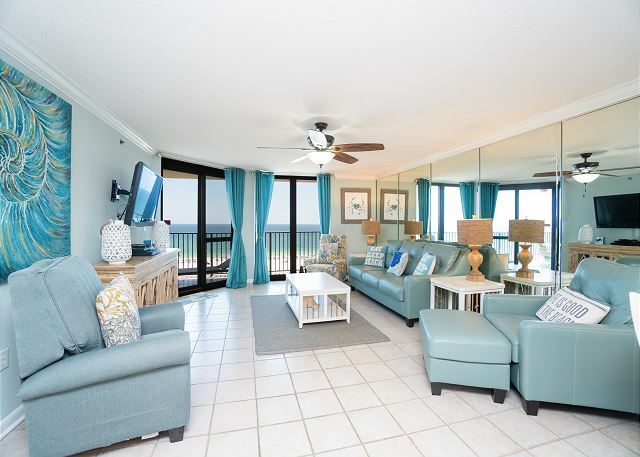 It has the best views of the Gulf of Mexico! 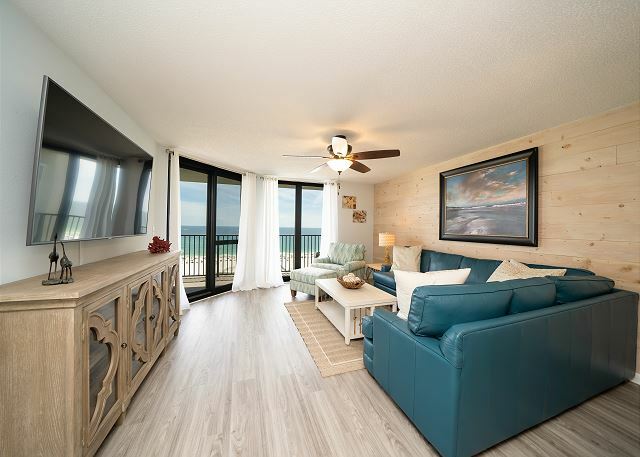 This condo has 2 bedrooms and 2 bathrooms, a full kitchen, dining area, living area, and a balcony with gorgeous views.